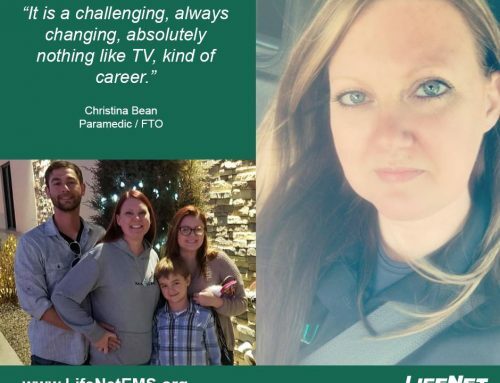 Annie is a paramedic in our Texarkana Division who has worked at LifeNet since October of 2010. “I became a medic to gain the security of knowing I can provide comfort to my family and friends in the event of an emergency. It’s empowering to be the calm in the chaos,” she said. The things she enjoys the most about her career are the variety and challenge that it provides. She also enjoys the educational opportunities and the family environment that comes with working at LifeNet. When Annie is not at work you’ll find her either cooking, painting, or cuddling up watching cartoons with her daughter.